Service oriented systems need to be maintained to keep the requested level of service. This is challenge in large grid- and saas based networks that are managed by numerous entities. This paper is about supporting multi agent systems that operate in the network and support its management by learning actual structures from life observed logging data. We focus on a collaborative grammar induction mechanism in which agents share local models in order to retrieve a model of the structure of the total service network. We studied the performance of groups of agents while varying the size and degree of communication. We motivate the application of the mechanism in the domain of service oriented system and show the results of experiments using a distributed agent-based monitoring system. 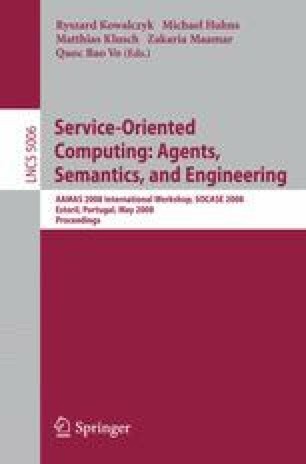 We promote further research in the overlapping scientific disciplines of multi agent systems and machine learning in the application domain of service oriented systems.